With so many shoes existing in the Nike library, it's not surprising that some shoes don't get as much love as others. There are plenty of models that get brand new makeovers almost monthly, while other sneakers get few releases and even fewer new colorways. 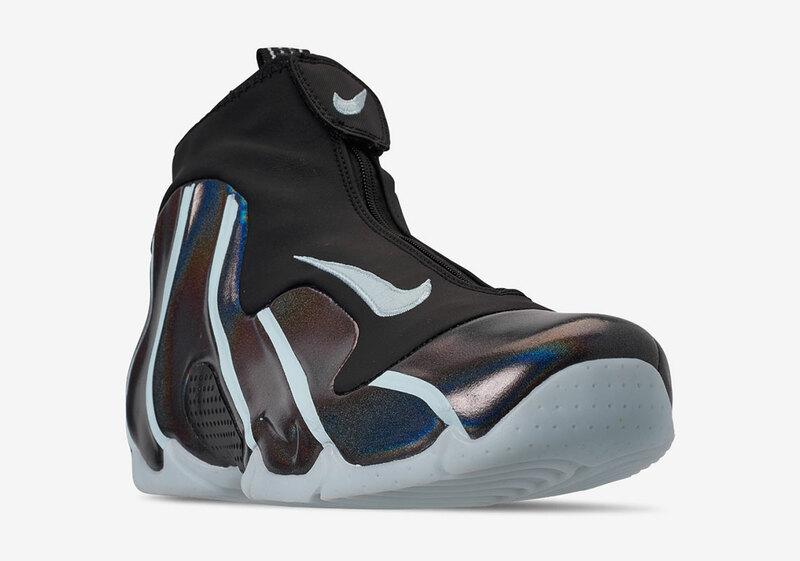 One of those shoes is the Nike Air Flighposite One. 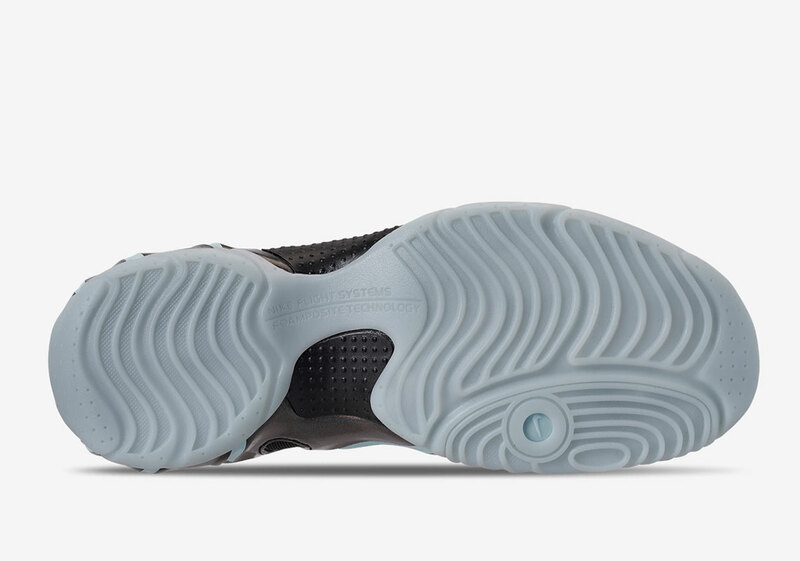 Backing off the success of the Foamposite, the Flightposite has a futuristic-looking silhouette that typically comes in a solid upper. 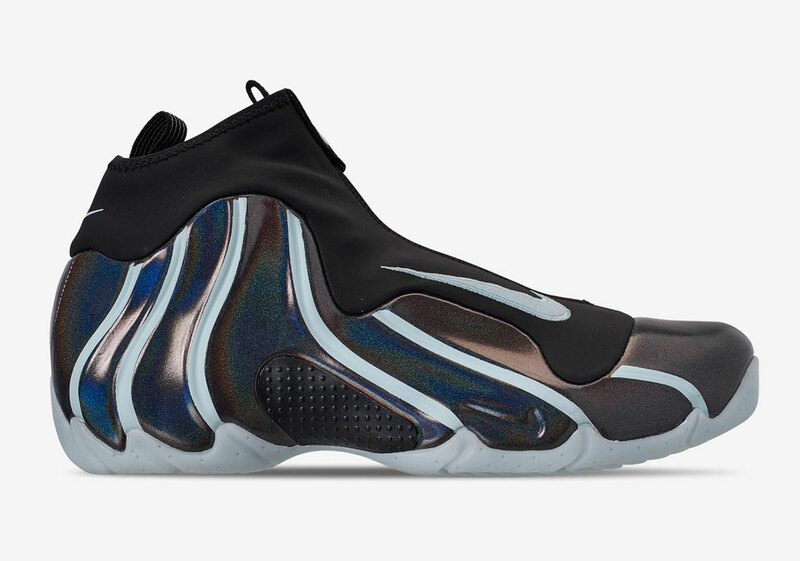 It appears as though Nike is looking to change the fortunes of the Flightposite One by giving it a brand new colorway with an interesting unique twist. Instead of a solid upper, the piping that is interwoven throughout has a distinct baby blue color to it. Meanwhile, the rest of the upper is dressed in an iridescent rainbow shell. 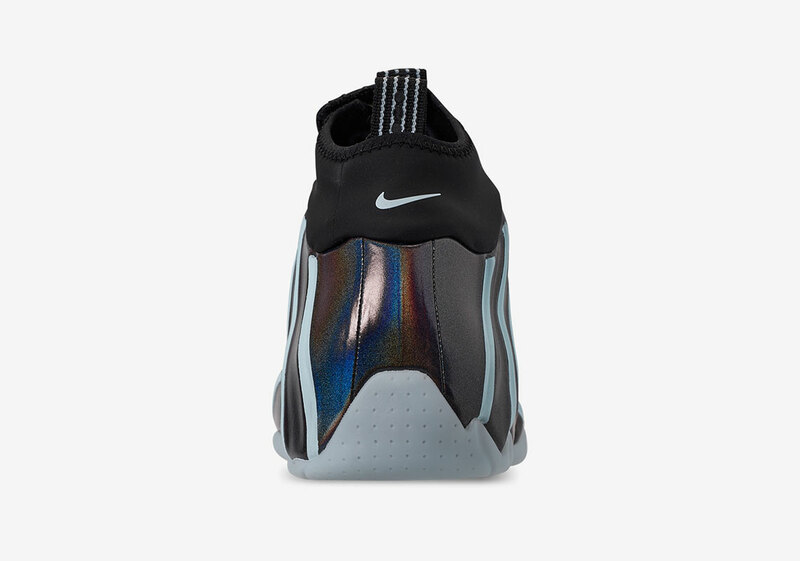 Meanwhile, the top half where the tongue is comes in black, with a baby blue Nike swoosh. There are no laces on these shoes as a zipper is used instead.